Mr. Lew may have reneged on a commitment he made last year to make a woman the face of the $10 bill, opting instead to keep Alexander Hamilton, to the delight of a fan base swollen with enthusiasm over a Broadway rap musical based on the life of the first Treasury secretary. 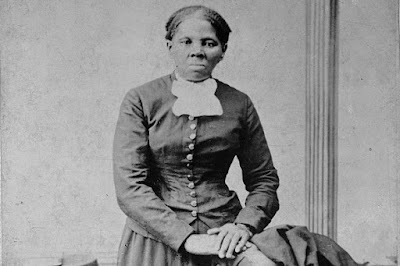 Tubman, an African-American and a Union spy during the Civil War, would bump Jackson — a white man known as much for his persecution of Native Americans as for his war heroics and advocacy for the common man — to the back of the $20, in some reduced image along with the White House. Tubman would be the first woman so honored on paper currency since Martha Washington’s portrait briefly graced the $1 silver certificate in the late 19th century. While Hamilton would remain on the $10, and Abraham Lincoln on the $5, images of women would be added to the back of both — in keeping with Mr. Lew’s intent “to bring to life” the national monuments depicted there. The picture of the Treasury building on the back of the $10 bill would be replaced with a depiction of a 1913 march in support of women’s right to vote that ended at the building, along with portraits of five suffrage leaders: Lucretia Mott, Sojourner Truth, Elizabeth Cady Stanton, Alice Paul and Susan B. Anthony, who in more recent years was on an unpopular $1 coin until minting ceased.